Chinese authorities are tightening media controls in Tibet, to ensure that the Dalai Lama’s voice is not heard by Tibetans. China is vowing to silence the voice of exiled spiritual leader the Dalai Lama in his homeland Tibet by tightening media controls to ensure his “propaganda” is not accessed by anyone on the internet, television or by any other means, a top official has announced. China calls the Nobel Peace Prize-winning Dalai Lama a “wolf in sheep's clothing” and claim he seeks to use violent methods to establish an independent Tibet. 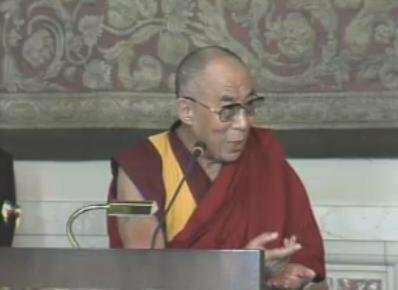 The Dalai Lama, who fled to India after a failed uprising in 1959, says he simply wants Tibet to achieve genuine autonomy. China has long tried to prevent Tibetans from listening to or watching programmes broadcast from outside the country, or gathering any information about the Dalai Lama and the exiled government online. But many still find means of accessing non-official news illegally, either via satellite televisions or by carefully avoiding Chinese internet restrictions. Writing in the ruling Communist Party's influential journal Qiushi, Tibet's top party chief Chen Quanguo said that the government would fight to ensure only its voice is heard and the Dalai Lama's is quashed. “Strike hard against the reactionary propaganda of the splittists from entering Tibet,” Chen writes. He said the government will confiscate illegal satellite dishes, increase online surveillance and check all telephone and internet users are registered under real names. “Work hard to ensure that the voice and image of the party is heard and seen over the vast expanses (of Tibet) ... and that the voice and image of the enemy forces and the Dalai clique are neither seen nor heard,” the article continues. Chen said the party would seek to expose the Dalai Lama's “hypocrisy and deception” and his “reactionary plots”. China has long defended its rule in Tibet, saying the region suffered from extreme poverty, economic stagnation and brutal exploitation until Communist troops “peacefully liberated” Tibet in 1950. Tensions in China's Tibetan regions are high after a spate of self-immolation protests by Tibetans, which have led to an intensified security crackdown across the region.